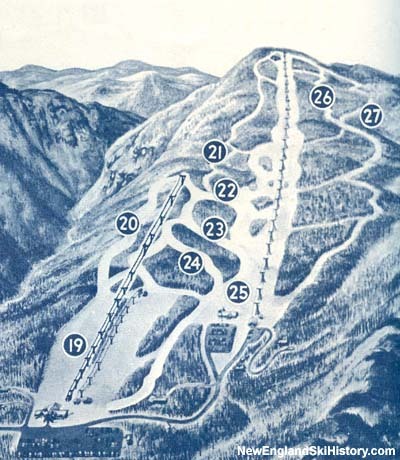 Upon consolidating most of the ski facilities under the Mount Manfield Hotel Company, CV Starr and Sepp Ruschp began to move forward in developing a new mountain for skiing and real estate. 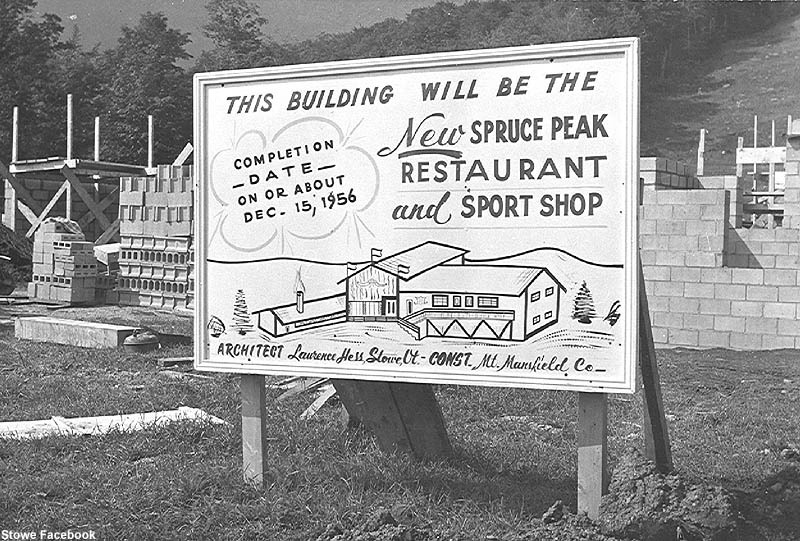 In the fall of 1949, they announced the purchase of 3,500 acres on Spruce Peak and quickly began development. Forty acres of trails, served by three rope tows, debuted for the 1949-50 season. 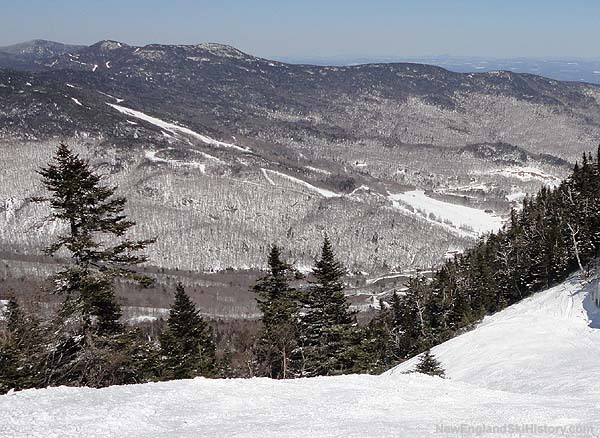 While a chairlift was planned for the 1950-51 season, a 2,000 foot T-Bar was installed instead. As the middle of the decade neared, the now-Mt. 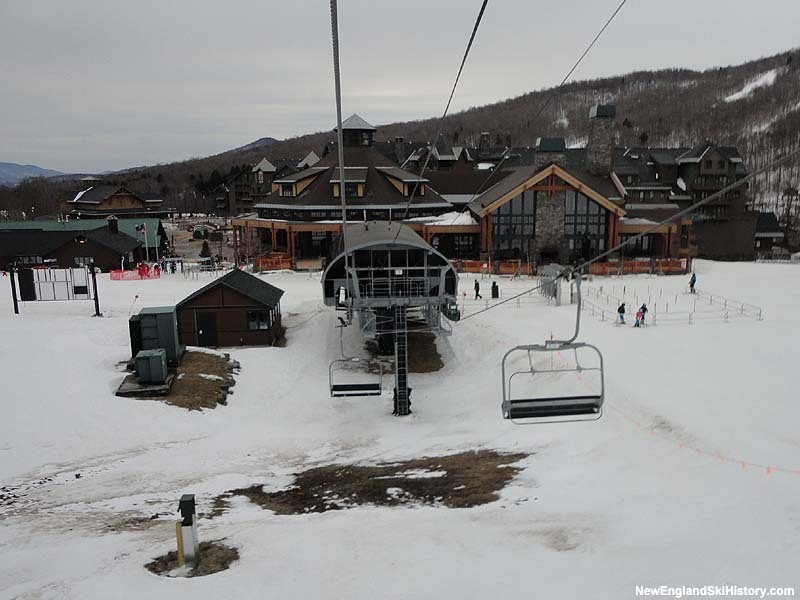 Mansfield Co., Inc. looked to finally install that chairlift on Spruce Peak. The project cost an estimated $1 million, half of which was secured via loans (the other half invested by Starr). A 6,200 foot long Roebling double chairlift was installed for the 1954-55 season with an uphill capacity of 800 skiers per hour. 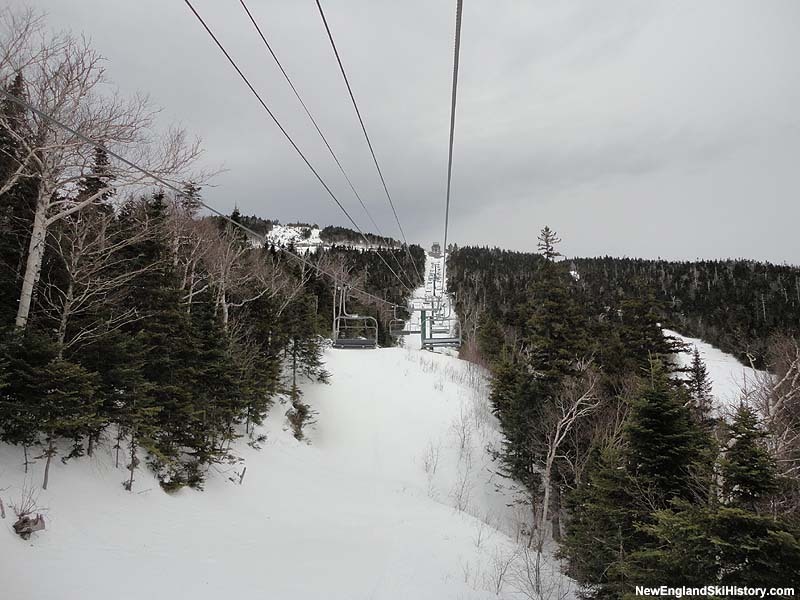 With 1,700 feet of vertical, the chairlift was a 1,200 foot improvement over the T-Bar. 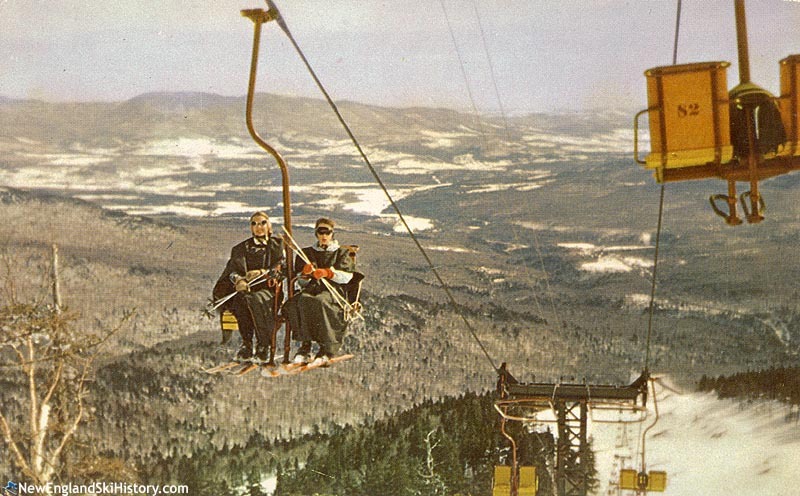 A Riblet double chairlift was added adjacent to the T-Bar for the 1963-64 season, climbing about halfway up Spruce Peak, providing more intermediate terrain. 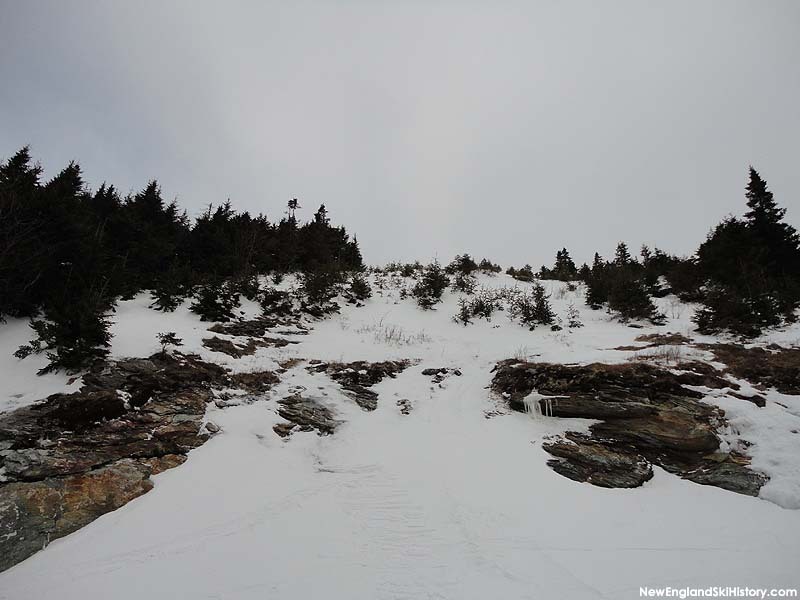 For the 1967-68 season, the West and East slopes of Spruce Peak became home to the initial development of Stowe's snowmaking system, providing some protection against fickle winters, as well as the sunnier exposure of the complex. The T-Bar was removed after the 1981-82 season, as two Doppelmayr double chairlifts were installed. The Little Spruce double chairlift was removed after four decades of use following the 2003-04 season. Its replacement was a new Leitner-Poma high speed detachable quad, named Sunny Spruce. At the same time, a new Poma triple chairlift was installed nearby, serving the real-estate-surrounded Inspiration novice slope. 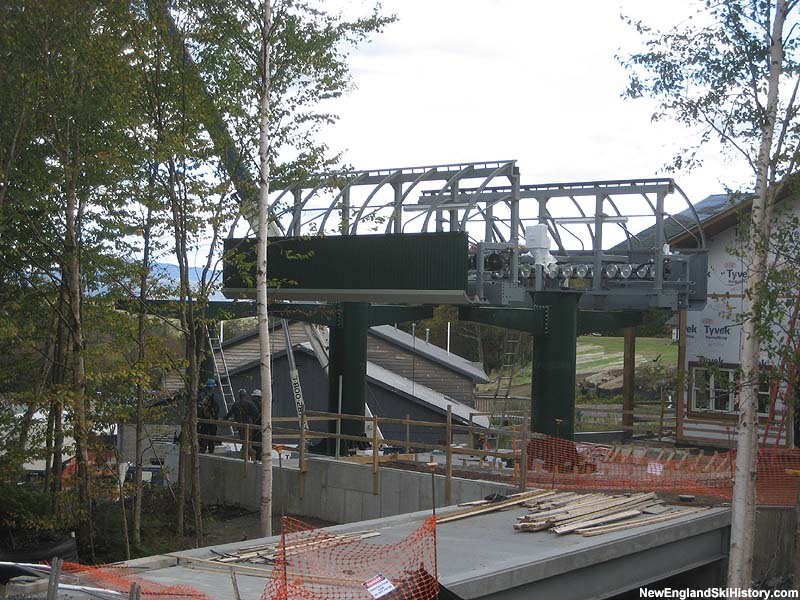 Big changes were in store for the following season, as the Spruce Peak double chairlift was removed after half a century of service. Its replacement was a shorter, but dramatically faster Leitner-Poma high speed detachable quad, named the Sensation. 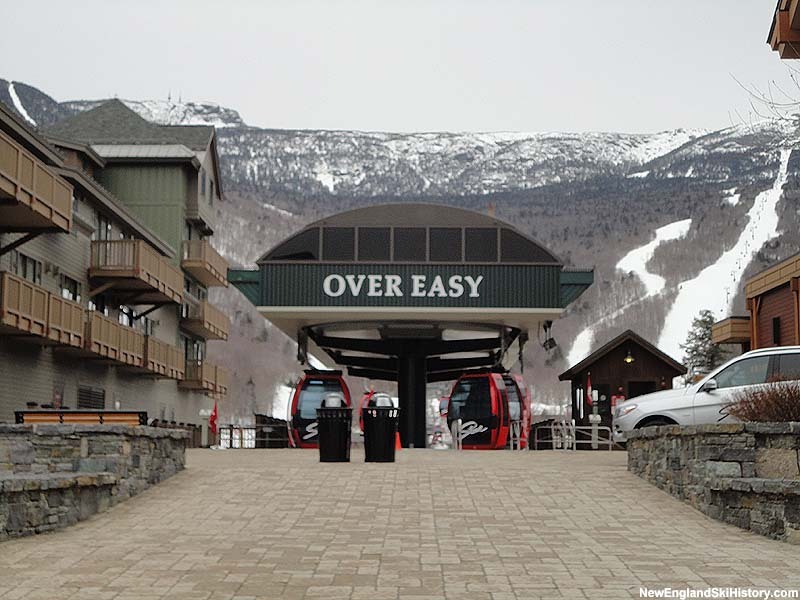 The new lift ends about 100 vertical feet lower than its predecessor, cutting off wind exposed terrain, as well as making the sometimes-official, often-unofficial connection to Smugglers Notch ski area a little less accessible. 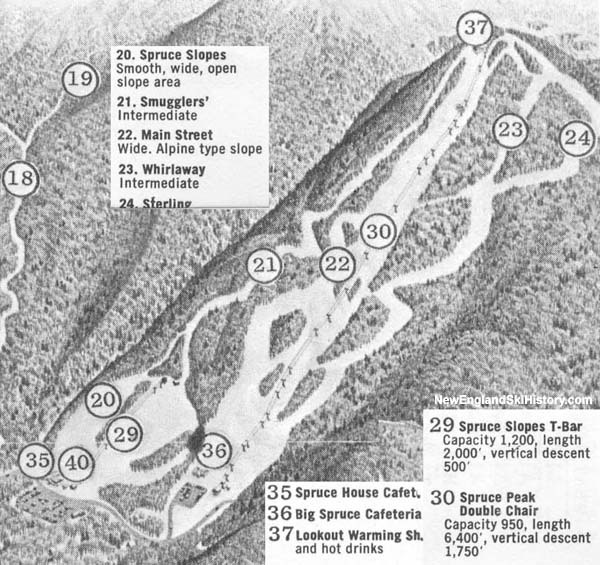 At the same time, huge changes were taking place at the bottom of the mountain, as the luxury development called Spruce Peak at Stowe was rolled out. 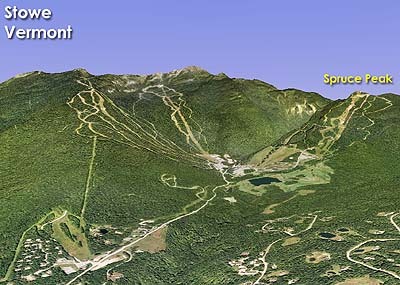 Part of the development included the 6 passenger Over Easy Gondola over Route 108, facilitating an easy connection to the main mountain from the previously detached Spruce Peak.